Hey guys, I'm wanting to begin reloading some buckshot.... Preferably 00 Buck. I've got Winchester AA, Federal Gold Medal, and Remington Sure Shot Dove shells. Western WT12 wads, Winchester W209 primers, and Hodgdon Titewad powder right now that I've been playing with for some 7 1/2 shot upland game loads. A buddy of mine has been wanting me to get into buckshot though but I don't really know that much about it. Can I load buckshot pellets into a regular wad or will I need to add a buffer media in the shell with the pellets? I assume as long as I load, say, 9 OO Buck pellets (which should equal out to 1 1/8oz.) into the hull with my standard 17.8g ~ 18.0g charge of Titewad I'll be safe. Any help and pointers on this will be greatly appreciated. Safe reloading! 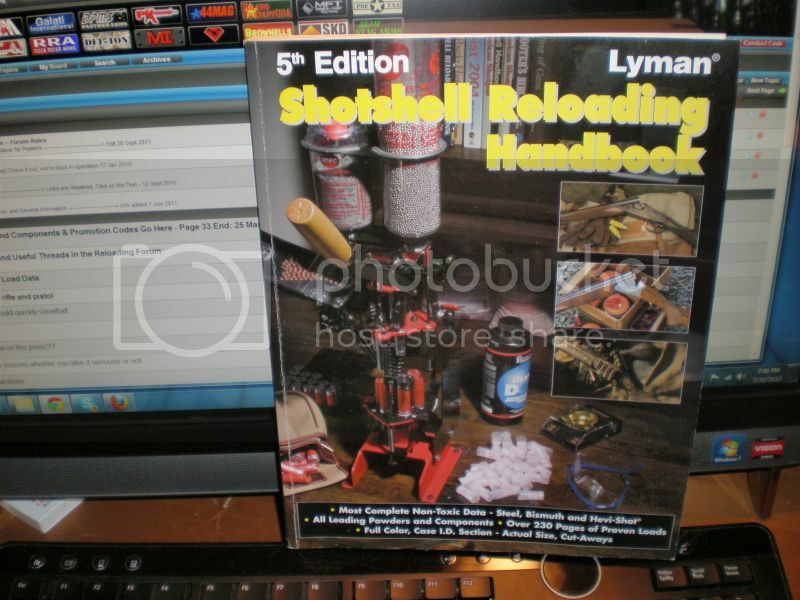 Get a copy of Lyman 5 for some loads, and more info on shotgun reloading. Shotgun reloading is different from rifle and pistol in that you use the exact loads listed in shotgun loading data. No starting load and work up. Thanks, I've been meaning to pick that particular loading manual up. I've got some other documentation that I borrowed from a friend of mine. Using most wads, it will be easier stacking your 00 buck into 4 pairs of 2. If you want to stack layers of 3 with standard wads, you'd be better off casting 0 buck. ....... Now I just need to find me a good shot mold and start casting my own buck pellets because these lead prices are through the ROOF! I have both the Sharpshooter mold and the Lee 00 mold and the Lee works A LOT better for me. Also, you're going to need to run any big capacity buckshot mold HOT HOT HOT as well as the alloy. 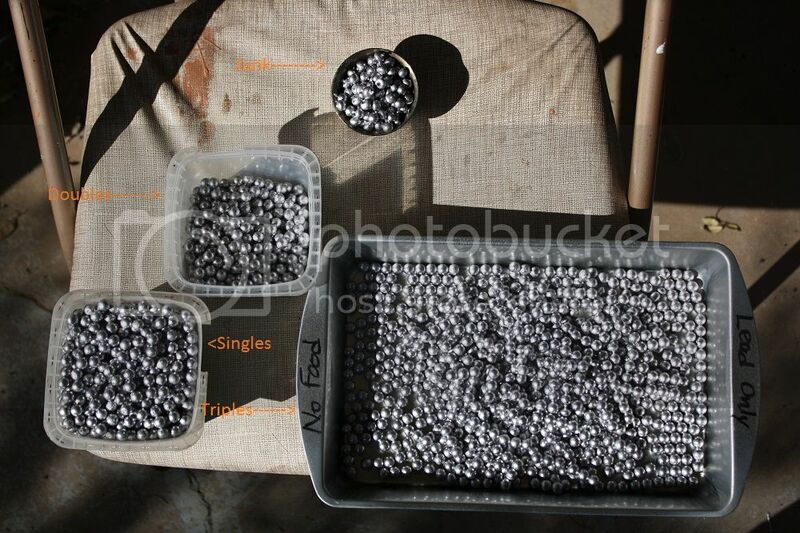 I set my PID at 725 degrees when making normal bullets, but 800-820 with pure lead when making buckshot. You also want to run a fast tempo to keep your mold hot. This is right at an hour's worth of work. Wow, that's an impressive amount of shot you can produce in an hour. Another good source is Ballistic Products for manuals/materials. I make my own with Unique, obsolete claybuster wads, and an overshot card. WHOOPS- I set up my chronograph and tweaked the loads until I had a good pattern while remaining at or below published velocities. I was nervous but the chrono survived. Where did you get the tools for making a roll crimp?